You guys know I'm no fashionista. I'm the worst at picking out what to wear. I hate shopping for clothes. And I'm lucky if I even bother to put make-up on during the day. But I have to admit, I love to wear nail polish and have my nails done up pretty. It's not something I like to admit. It's a guilty pleasure that I rarely give in to. It's just so much work to paint your nails and get them to dry before smudging them. Then, they start chipping within the hour. By the end of the day, I wonder why I bothered. And all those amazing Pinterest nails that I love and think how great they would be to wear to a party? Not a chance that I could pull those off with my painting skills and lack of patience. But I came home last week for a family emergency, and in between stress moments, my sister pampered me and introduced me to Jamberry Nails. Can I say "WOW!" ?!?! My nails have never looked so good in such a short amount of time with very little stress and work! They are these great vinyl stickers that you put on your nails and make it look like you spent hours in a salon and tons of money. There are so many great patterns that are perfect for any party, outfit, or outing, over 300 to be exact. 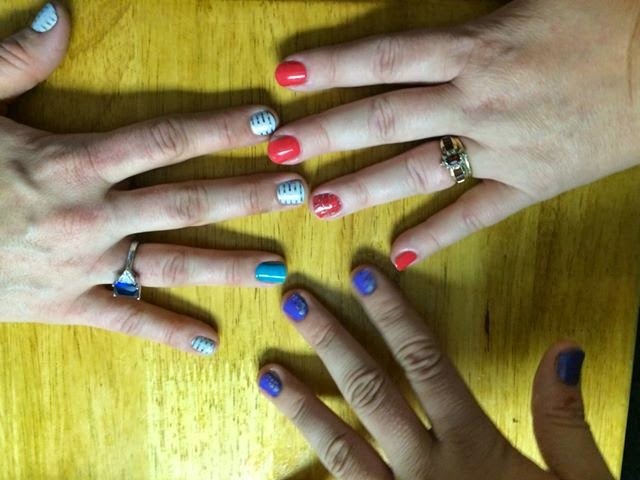 I absolutely LOVE the soccer ball nail wraps and can't wait to wear them to our World Cup finale party! Or next year when my son plays for his high school football team...these football nail wraps are perfect to cheer him on. There are all types of hobby nail designs for everything from music to gymnastics to horses. I love that I can get all the cool Pinterest nails with very little effort. 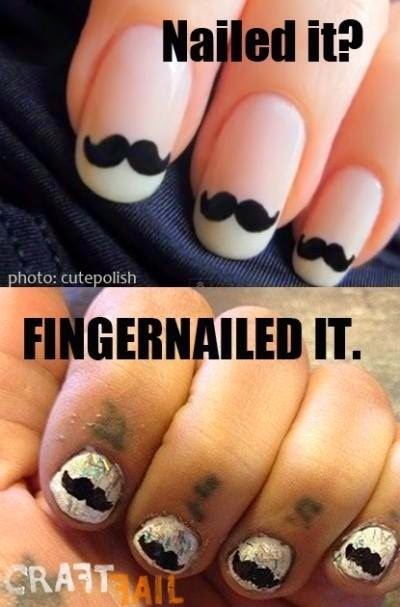 I mean how hard and time consuming are those awesome nails that you see? Wouldn't it be so much easier to just put a sticker on them? Plus, they last so much longer than just one day. I've had mine on for almost a week now and they are almost as good as new. 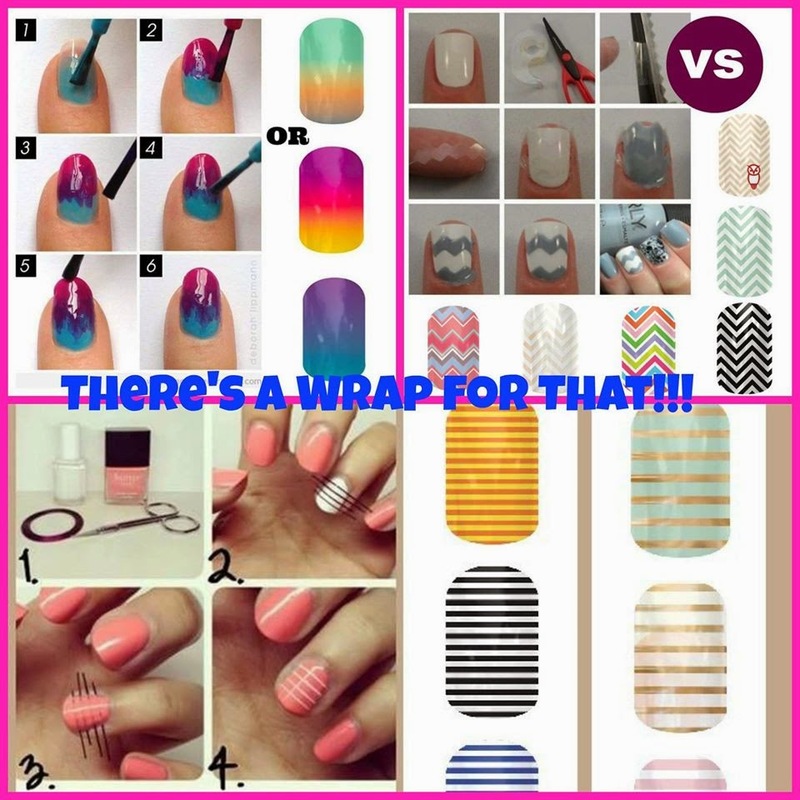 Jamberry says they will last 2-3 weeks on your nails and you can even use them on your toes where they last 4-6 weeks. Can you tell I'm in love? 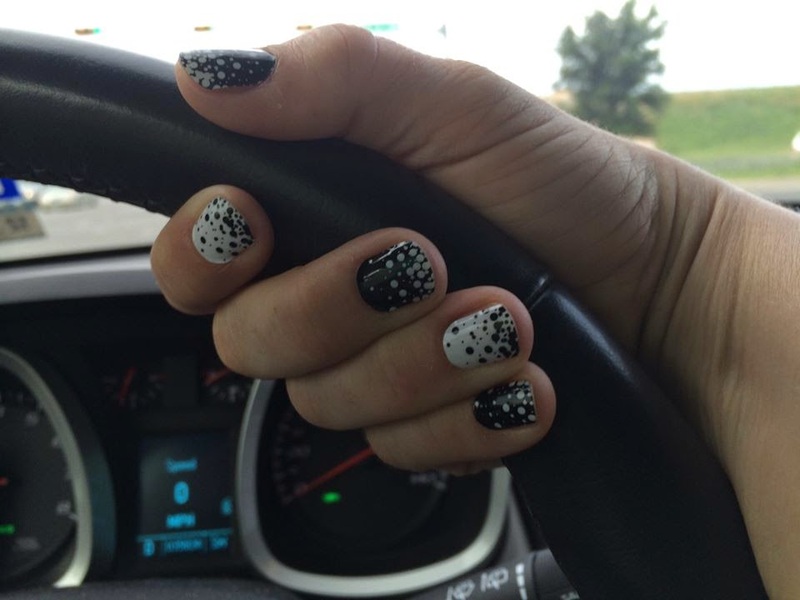 I'm so much in love that I offered to wear these awesome Jamberry nails all the time. (So generous aren't I?) After all, I might not look great in my outfit, but I'll definitely be rocking my nails from now on! If you're interested in checking them out, you can view all the beautiful designs on the Jamberry website. I am hosting a super fun Facebook party right now. If you order through this link (and select Kim Elliott as your host) before Sunday, you will be entered into a drawing for a Mini Sheet of ACCENT NAILS! There's even a great special going on right now that allows you to buy 3 get 1 free and if you do the B3G1Free deal you'll get 2 entries!! Beautiful, free nails, can life get any better? 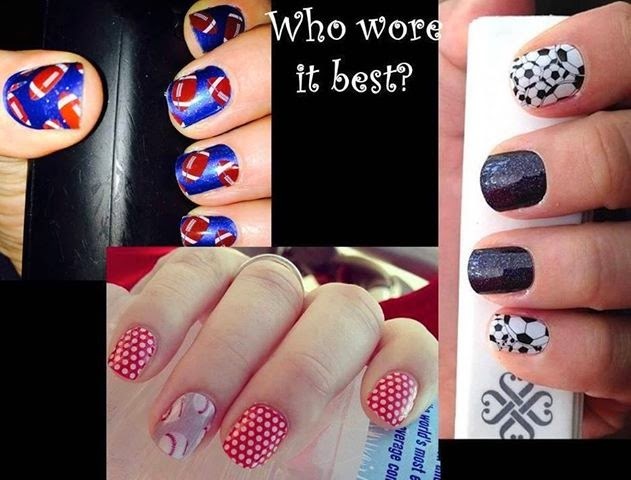 Go check out the amazing, beautiful nail designs and come back to tell me your favorite!